Casinos USA – Every Day is Saturday! Welcome to the website of Casinos USA: www.casinosusa.bet. Find all of our archived podcasts on the "Podcast Page." Just go to the menu and select Podcasts. Join us on Facebook with two words: Casinos USA. Follow us on Twitter @casinosusa2017. Casinos USA is the place where EVERYDAY IS SATURDAY! Our podcasts are also available on nearly all major outlets including IHEART RADIO, Spreaker Radio, TuneIn Radio, MyTuner Radio, Google Play, Stitcher Radio, and ITunes Store. Before you spend a penny on learning “Dice Control,” take a look at the greatest verified craps roll ever. The shooter was only playing craps for the second time and she did not “set” dice. Why cannot someone who claims an advantage beat a player who simply “tossed” the dice for a record number of rolls? 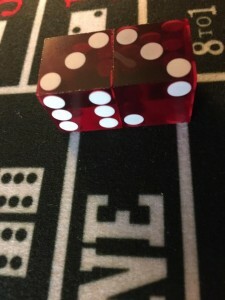 We believe that setting dice can create dice tendencies, numbers tied to a specific set more than not; however, we do not believe that anyone can CONTROL dice if the dice and the roll are legal – that is, the dice hit the back wall. Greatest verified craps roll ever! Casinos USA’s podcasts can be found on IHEART Radio, TuneIn Radio, Stitcher Radio, Spreaker Radio, MyTuner Radio, ITunes Store, Sound Cloud, Google Play, and this website on our podcast page. Thank you, loyal listeners! We would like to put your voice and story or question on our national podcasts. 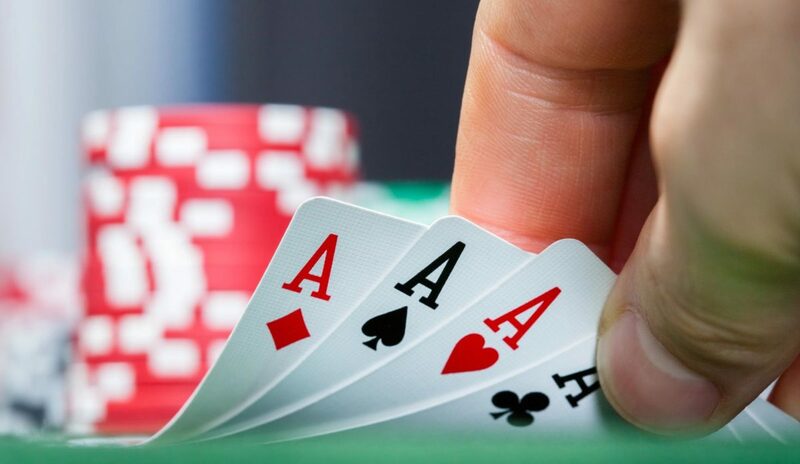 Just call our answering service at 1-724-519-4556 and tell us about your recent trip to a casino anywhere or ask us a question about playing strategies for table games. During our next podcast, we will play your message and respond to it. There is never a monetary charge for using and enjoying the resources of Casinos USA. However, you can help cover our production expenses by clicking on our Amazon link on the side or the bottom of the website pages. You will pay Amazon the same as always, but we will get a small kickback. As we now participate in revenue sharing, we do not take direct donations through PayPal or credit cards, but we certainly appreciate the sentiment. Craps Players: Click on a Dice Photo – then click on i for the Information regarding the Set that you have chosen. Note: As mentioned above, Casinos USA believes that there is no such thing as Dice Control. 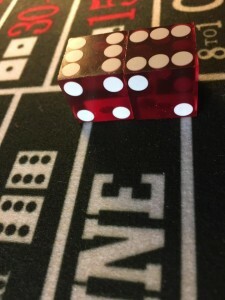 We do believe that setting dice creates "dice tendencies," which means certain numbers come up more often when these sets are used; however, that does not mean that we are controlling the dice - we are affecting tendencies by these sets. 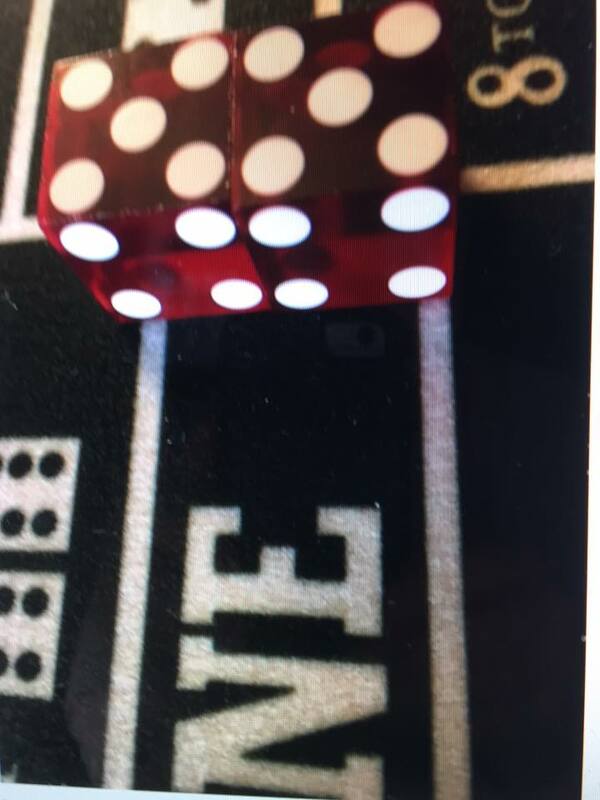 We had calls to our answering service on how we captured the dice as if they were floating. 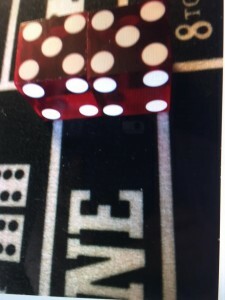 The truth is the dice are much closer, only inches, from the camera than the table felt. The dice are sitting on clear plexiglass-  We loved this effect and appreciate that many of our website and Facebook visitors do as well. Our Facebook public group is Casinos USA written as two words. Our website is www.casinosusa.bet. To enjoy any of Casinos USA Podcasts, go to our Podcast Page. ALERT-ALERT-ALERT -Readers will find great casino hotel rates on our Facebook pages where they are posted daily. Don’t miss out on the best deals in Casino Hotels in Vegas and elsewhere. Remember: All of our Podcasts, past and present, may be found on the Podcasts Page! See the Writers Blog page for more information on all of our podcasts. Searching for us on iTunes Store … Go to the iTunes Store, select the “search bar,” and write in Casinos USA as two words. This will take you directly to our podcasts on iTunes. Please consider writing a review. Thank you. To contact us use our 24 hour answering service: 1-724-519-4556. Give us a trip report, ask a gambling question, tell us about your own “Casino Capers” coast to coast. We will do our best to play your call on our national/international podcasts. Use your first name and city or state only when you are calling. Thank you … Please enjoy the other pages on our website.